The ramen tour continues and our next stop was at Marutama Gaiden. Marutama is a chicken broth only restaurant and they are famous for their rich and creamy broth. We ordered the shoyu and miso ramen and it was AMAZING (Oprah voice). What was good about my miso ramen? The amount of vegetables, the BROTH, the fatty chasu, and the ground meat. 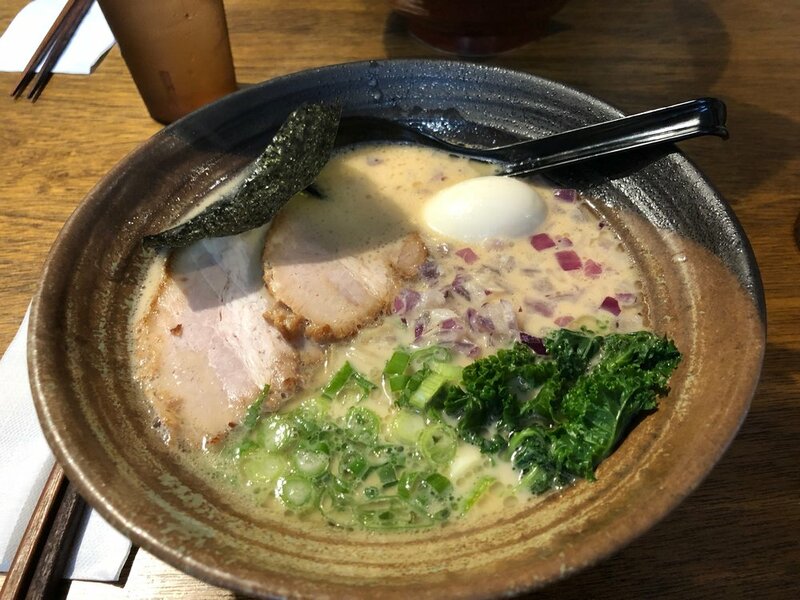 The broth was plenty hot and the ramen was on the el dente side. The menu is on the smaller side and not as elaborate as the Bidwell location. They also don't have the epic bowl. Give it a try, it's probably one of the best ramen spots on Main St.